Pablo Mendez, UTRGV Emergency Management Coordinator, on Friday, Jan. 5, 2018 at the Police & Parking Services building in Edinburg. EDINBURG — Being a point of contact for all emergency responders in the area is one of Pablo Mendez’ main concerns as emergency management coordinator for the University of Texas Rio Grande Valley, and now his focus will widen as he will lead an emergency committee for the entire UT System. Mendez was appointed chairman of the UT System Emergency Management Committee during their last meeting on Dec. 6, 2017, as Lorenzo Sanchez, from UT- San Antonio, completed his two-year term as chairman. Mendez is now leading the committee, which he described as a space where ideas and experiences are shared to better prepare for any type of crisis that might come their way at any of the system’s 13 institutions. Mendez has held this position at UTRGV since the university opened its doors in 2015, but he came with experience in the position and other safety roles during his nearly seven-year tenure at the legacy institution UT Pan American, and even with the New York City Police Department, where he served as police officer for 10 years. 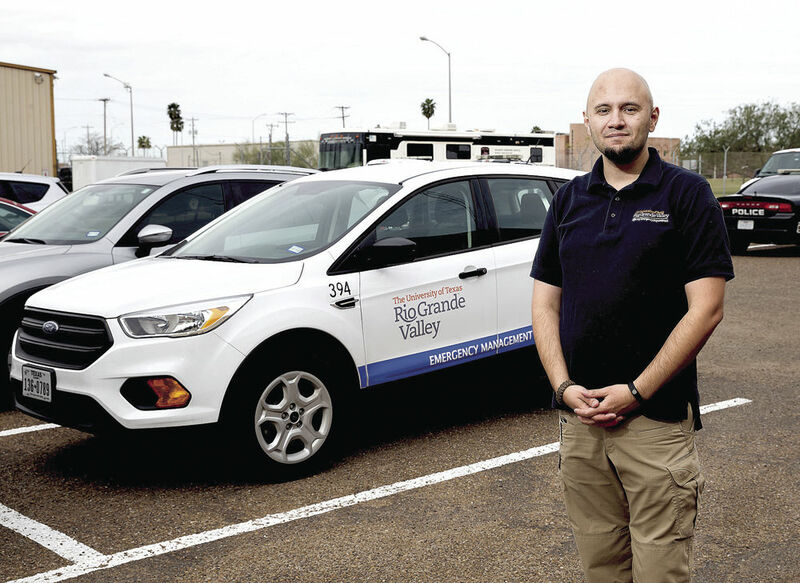 After the transition to UTRGV his role changed as the department became stand-alone for the first time under the Office of Emergency Preparedness. At UTPA it was under the environmental department. But his role also expanded as Mendez went from overseeing one main campus that mainly served two counties, to supervising three main campuses spread throughout three counties. His main goal is to make sure there is a plan of action in place for any possible crisis, from an active shooter situation to common weather issues. All emergency responders — including police officers, firefighters and paramedics — have to have a common point of contact to guide them as they all might have one goal in mind, but viewed from different aspects, he said, and that’s where his department comes in. Even as emergency coordinators from throughout the state tend to keep in touch with one another to get feedback on practices and strategies, Mendez said the committee gives them an extra opportunity to take a deeper look into what is working and what makes sense for each region.